This is a very special limited edition Sinn watch designed to commemorate the 2018 retirement of the Canadian CH124 Sea King designed for shipboard use by the Royal Canadian Navy and the Royal Canadian Air Force. 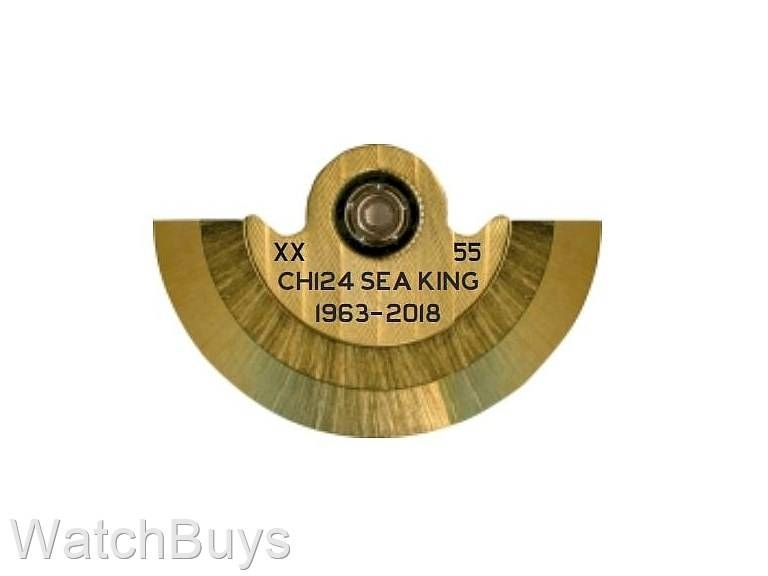 This watch is limited to 55 pieces to mark the 55 years of service provided by the CH124 Sea King (the longest serving Canadian combat aircraft), and we are offering the chance to reserve this watch now and to choose your preferred serial number. The CH124 Sea King has been one of the workhorses of the Royal Canadian Navy (RCN) and Royal Canadian Air Force (RCAF) for 55 years. Originally procured by the RCN as a means of countering the nuclear-powered attack submarines of the late 1950's, these helicopters have proven themselves time and again in various roles for the RCN and RCAF. Based on the US Navy's SH-3, the CH124 Sea King began its service in 1963 and in addition to providing anti-submarine support and attack capabilities, this helicopter provided maritime surveillance, transport, search and rescue, and helicopter delivery services. A critical player in many operations in Canada and worldwide, the CH124 Sea King operates to this day and is scheduled to be retired in December, 2018. 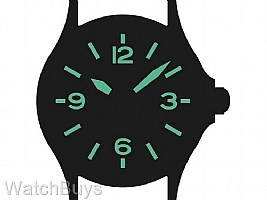 This is a great looking watch with a very important link to a special Canadian military aircraft (CH124), and variations of this aircraft have been used by the US Navy (including Marine One) as well as military divisions in Brazil, Italy, Japan, UK, Spain, Denmark, Malaysia, Australia and a number of other countries. The idea and inspiration for this watch came from Captain Jason Miller of the Royal Canadian Air Force (RCAF). 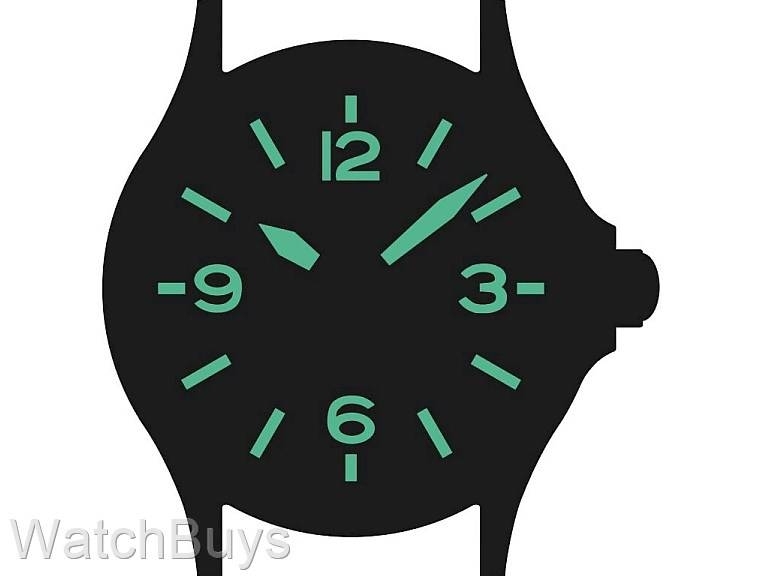 WatchBuys worked closely with Captain Miller from the very beginning of this project to design a watch that would pay tribute to the CH124 Sea King. "I am an Air Combat Systems Officer (ACSO) currently serving as an ACSO instructor at 402 "City of Winnipeg” Squadron in Winnipeg, Manitoba. Like so many before me, I had the honour of serving on the CH124 Sea King as a Tactical Coordinator (TACCO) during my time at 423 Maritime Helicopter Squadron. I was posted to 423 (MH) Squadron after receiving my ACSO wings in April 2013 and completed my training on the Sea King in March 2014. As a sea-going unit, 423 (MH) Squadron’s mandate is to help provide "Wings for the fleet” and send the CH124 Sea King to sea on Canadian warships for the Royal Canadian Navy (RCN). During my time on the Sea King, I participated in numerous international exercises and two international deployments with NATO in the Atlantic Ocean, Labrador Sea, Tyrrhenian Sea, North Sea, and Mediterranean Sea. 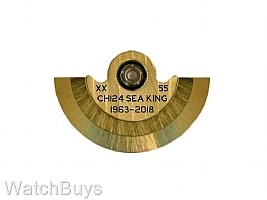 Over the course of my posting at 423, I fell in love with the robust and utilitarian nature of the Sea King. A true workhorse, it is an aircraft that has been pushed into nearly every imaginable situation and environment over its 55-year tenure. When searching for a company and watch to commemorate this legendary aircraft, Sinn was immediately on the shortlist. Like the Sea King, Sinn’s watches are robust and utilitarian; an excellent match for one of Canada’s greatest aircraft." This link is to a publication entitled Wings for the Fleet: Fifty Years of the Canadian Sea King and provides detailed information about the Sea King, its development and its capabilities. This second link is to a publication documenting the unbelievable story of Able Seaman Barker and the Barker Bar. Once you read these publications the importance and impact of the CH124 Sea King become evident, and this military aircraft has rightfully earned its place in Canadian military history. 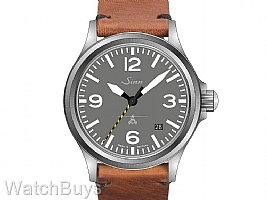 The Sinn CH124 Sea King limited edition watch is based on a Sinn 556 A pilot's watch. We know that many owners prefer certain serial numbers, so with this series you may actually choose an exact number. But remember they are available on a first come, first served basis and our web site will update in real time once a specific serial number is sold out. All watches will arrive from Sinn fitted with a vintage style Sinn brown calf leather strap with black stitching as shown in the picture at the top right of this page as part of this limited edition watch. Once your specific serial number arrives and we contact you for final payment, you will have the option of adding a bracelet to your purchase (at an additional charge of USD $320). Just let us know at that time if you wish to add the bracelet, and we will include free tools to remove the necessary links to fit your wrist.